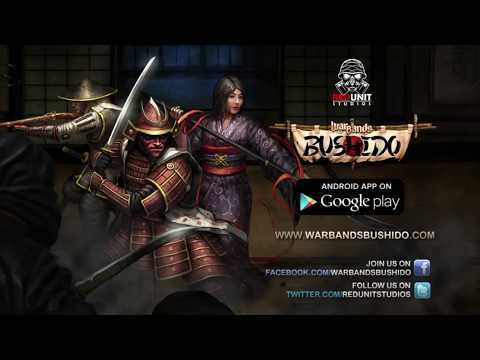 Warbands:Bushido is a miniatures board game online arena with cards, miniatures, dice (i.e. dice random involved) and beautiful terrains to fight on, with both multiplayer battles boardgamers are used to, and challenging single-player scenarios. Game has a isometric, tabletop-style look with miniature-style characters, cards, dice, pre-rendered battlefields and story-mode scenarios. There will be more than 50 various paintable units and heroes planned for full-scale release and later additions. Multiplayer skirmish will let you test your skills in best traditions of tabletop wargame classics with a fast-paced gameplay. While single-player scenarios with their own characters and events, are highly influenced by classic turn-based RPG tactics. Game background - is the story of civil war in 16th century Japan, known as “Warring States period”. Samurais and ronins, criminals of all sorts, ninja clans, Chinese pirates, Portuguese mercenaries and firearms traders, all trying to benefit from anarchy and conflict. It is hard to find a more atmospheric and dense setting for a tactical board war games.